Representación de uno de los satélites LANDSATEste pasado lunes la NASA, en colaboración con el servicio geológico estadounidense USGS, lanzaba el octavo satélite de la serie Landsat, una de las míticas misiones de la historia espacial. Desde las alturas completará su objetivo que, al igual que sus anteriores hermanos, es la observación detallada de nuestro planeta. Mares, océanos, ríos, bosques, nubes, volcanes, islas… cualquier punto de la geografía de la Tierra o de su atmósfera es atentamente observado por estos satélites que giran en órbita heliosincrónica a 705 kilómetros sobre nuestras cabezas realizando un vuelta completa cada 99 minutos. Desde 1972, año en el que se lanzó el primer Landsat, el proyecto nos ha proporcionado una inmensa cantidad de datos e imágenes que además están a disposición de cualquier persona o científico que quiera acceder a ellos puesto que se ofrecen libremente en abierto desde numerosas webs oficiales. Como muestra podéis disfrutar de la galería especial que USGS ha elaborado para este 40 aniversario. Pero este gran programa posee un impresionante valor añadido fruto del tiempo que lleva funcionando. Haber sido testigo de excepción de todos los rincones de la Tierra durante 40 años nos ofrece un archivo sin igual en el que poder comprobar los cambios que se han realizado en nuestro planeta durante todo este tiempo. Si os parece vamos a realizar un pequeño recorrido por estas cuatro últimas décadas de la mano del programa Landsat para descubrir la evolución viva de nuestro entorno. La imagen que podéis observar es la comparación de la desecación del Mar Aral en los últimos 34 años. A la izquierda la imagen correspondiente a 1973 y a la derecha, con apenas un 12% de lo que en su día fue, la fotografía de 2009. En palabras de Michael Freilich, director de la División de Ciencias de la Tierra en la NASA, estos 40 años del programa LandSat han proporcionado el registro más consistente y fiable del panorama cambiante de la Tierra. Y si existe una zona en nuestro planeta donde, desgraciadamente, podemos observar la evolución del tiempo y de la mano del hombre esa es la Selva amazónica. 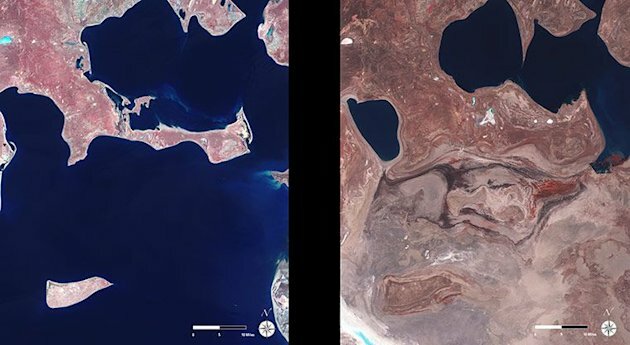 El nuevo satélite de la serie LandSat continuará con la espectacular labor desarrollada por sus antecesores y en este caso seguro que la mejorará puesto que es capaz de tomar imágenes con una resolución espacial de 30 metros enviando más de 400 fotografías cada día… un importantísimo colaborador espacial para conocer a fondo los cambios que se producen en nuestro planeta a vista de pájaro. El invierno del hemisferio sur se manifiesta en la congelación de las aguas que rodean la Antártida. 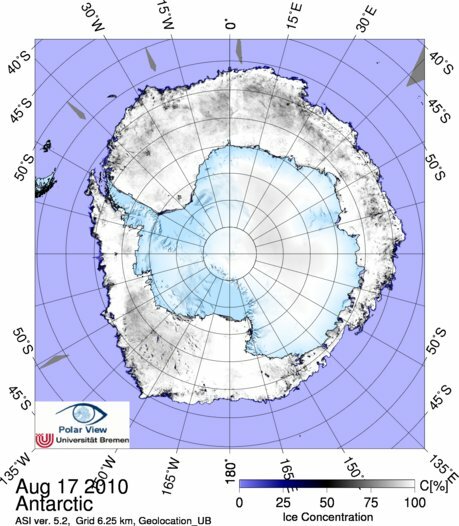 Este año (línea roja) la extensión del hielo marino está batiendo el récord desde que se tienen mediciones satelitarias. Como es normal, los medios de comunicación no dan cuenta de ello. Known as a geoid, it essentially defines where the level surface is on our planet; it tells us which way is “up” and which way is “down”. It is drawn from delicate measurements made by Europe’s Goce satellite, which flies so low it comes perilously close to falling out of the sky. Scientists say the data gathered by the spacecraft will have numerous applications. One key beneficiary will be climate studies because the geoid can help researchers understand better how the great mass of ocean water is moving heat around the world. …Put a ball on this hypothetical surface and it will not roll – even though it appears to have “slopes”. 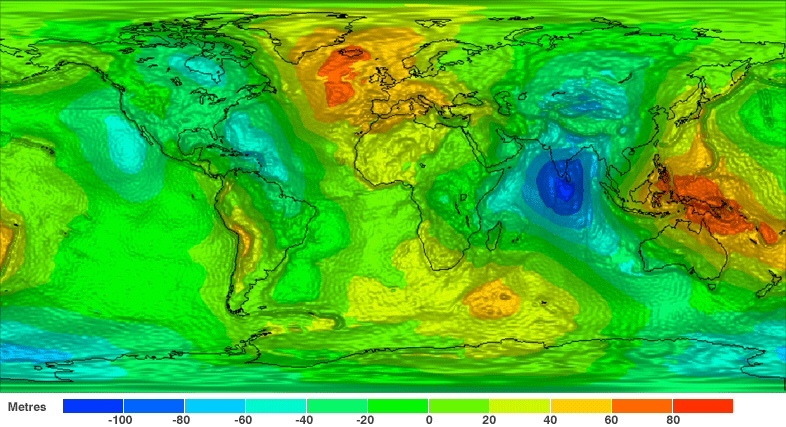 These slopes can be seen in the colours which mark how the global level diverges from the generalised (an ellipsoid) shape of the Earth. The geoid is of paramount interest to oceanographers because it is the shape the world’s seas would adopt if there were no tides, no winds and no currents. If researchers then subtract the geoid from the actual observed behaviour of the oceans, the scale of these other influences becomes apparent. I am still receiving questions about the method by which the satellite microwave measurements are calibrated to get atmospheric temperatures. The confusion seems to have arisen because Christopher Monckton has claimed that our satellite data must be tied to the surface thermometer data, and after Climategate (as well all know) those traditional measurements have become suspect. So, time for a little tutorial. The UAH global temperatures currently being produced come from the Advanced Microwave Sounding Unit (AMSU) flying on NASA’s Aqua satellite. AMSU is located on the bottom of the spacecraft (seen below); the AMSR-E instrument that I serve as the U.S. Science Team Leader for is the one on top of the satellite with the big dish. As the instrument scans across the subtrack of the satellite, the radiometer’s antenna views thirty separate ‘footprints’, nominally 50 km in diameter, each over over a 50 millisecond ‘integration time’. At these microwave frequencies, the intensity of thermally-emitted radiation measured by the instrument is directly proportional to the temperature of the oxygen molecules. The instrument actually measures a voltage, which is digitized by the radiometer and recorded as a certain number of digital counts. It is those digital counts which are recorded on board the spacecraft and then downlinked to satellite tracking stations in the Arctic. The biggest problems we have had creating a data record with long-term stability is orbit decay of the satellites carrying the MSU and AMSU instruments. 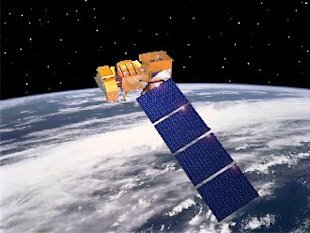 Before the Aqua satellite was launched in 2002, all other satellites carrying MSUs or AMSUs had orbits which decayed over time. The decay results from the fact that there is a small amount of atmospheric drag on the satellites, so they very slowly fall in altitude over time. This leads to 3 problems for obtaining a stable long-term record of temperature. (1) Orbit Altitude Effect on LT The first is a spurious cooling signal in our lower tropospheric (LT) temperature product, which depends upon differencing measurements at different view angles. As the satellite falls, the angle at which the instrument views the surface changes slightly. The correction for this is fairly straightforward, and is applied to both our dataset and to the similar datasets produced by Frank Wentz and Carl Mears at Remote Sensing Systems (RSS). This adjustment is not needed for the Aqua satellite since it carries extra fuel which is used to maintain the orbit. (2) Diurnal Drift Effect The second problem caused by orbit decay is that the nominal local observation time begins to drift. As a result, the measurements can increasingly be from a warmer or cooler time of day after a few years on-orbit. Luckily, this almost always happened when another satellite operating at the same time had a relatively stable observation time, allowing us to quantify the effect. Nevertheless, the correction isn’t perfect, and so leads to some uncertainty. [Instead of this empirical correction we make to the UAH products, RSS uses the day-night cycle of temperatures created by a climate model to do the adjustment for time-of-day.] This adjustment is not necessary for the Aqua AMSU. (3) Instrument Body Temperature Effect. As the satellite orbit decays, the solar illumination of the spacecraft changes, which then can alter the physical temperature of the instrument itself. For some unknown reason, it turns out that most of the microwave radiometers’ calibrated Earth-viewing temperatures are slightly influenced by the temperature of the instrument itself…which should not be the case. One possibility is that the exact microwave frequency band which the instrument observes at changes slightly as the instrument warms or cools, which then leads to weighting functions that move up and down in the atmosphere with instrument temperature. 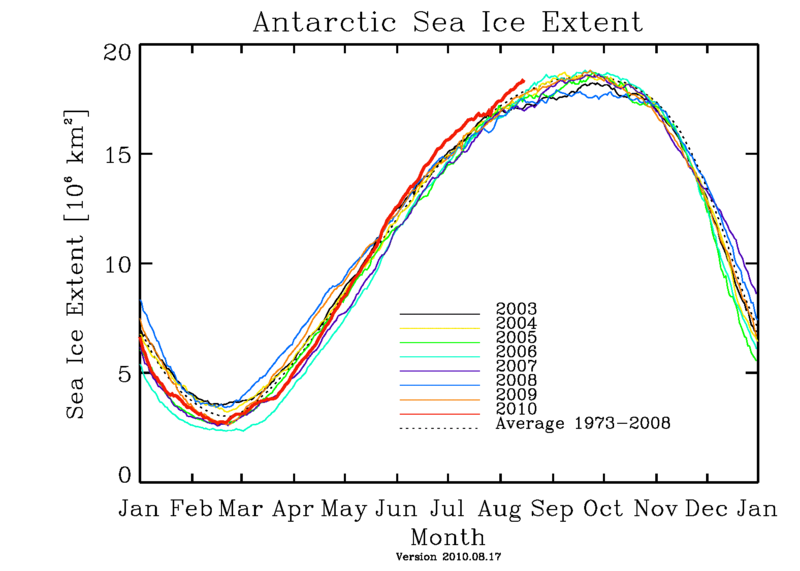 Since tropospheric temperature falls off by about 7 deg. C for every 1 km in altitude, it is important for the ‘local oscillators’ governing the frequency band sensed to be very stable, so that the altitude of the layer sensed does not change over time. This effect is, once again, empirically removed based upon comparisons to another satellite whose instrument shows little or no instrument temperature effect. The biggest concern is the long-term changes in instrument temperature, not the changes within an orbit. Since the Aqua satellite does not drift, the solar illumination does not change and and so there is no long-term change in the instrument’s temperature to correct for. One can imagine all kinds of lesser issues that might affect the long-term stability of the satellite record. For instance, since there have been ten successive satellites, most of which had to be calibrated to the one before it with some non-zero error, there is the possibility of a small ‘random walk’ component to the 30+ year data record. Fortunately, John Christy has spent a lot of time comparing our datasets to radiosonde (weather balloon) datasets, and finds very good long-term agreement. From NASA News. New measurements from a NASA satellite show a dramatic cooling in the upper atmosphere that correlates with the declining phase of the current solar cycle. For the first time, researchers can show a timely link between the Sun and the climate of Earth’s thermosphere, the region above 100 km, an essential step in making accurate predictions of climate change in the high atmosphere. Scientists from NASA’s Langley Research Center and Hampton University in Hampton, Va., and the National Center for Atmospheric Research in Boulder, Colo., presented these results at the fall meeting of the American Geophysical Union in San Francisco from Dec. 14 to 18. Earth’s thermosphere and mesosphere have been the least explored regions of the atmosphere. 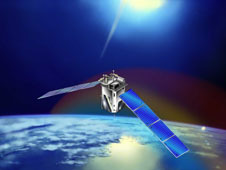 The NASA Thermosphere-Ionosphere-Mesosphere Energetics and Dynamics (TIMED) mission was developed to explore the Earth’s atmosphere above 60 km altitude and was launched in December 2001. One of four instruments on the TIMED mission, the Sounding of the Atmosphere using Broadband Emission Radiometry (SABER) instrument, was specifically designed to measure the energy budget of the mesosphere and lower thermosphere. The SABER dataset now covers eight years of data and has already provided some basic insight into the heat budget of the thermosphere on a variety of timescales.